Bluehost, DreamHost, Flywheel or SiteGround - Which is Best? If you’ve been keeping track of all things WordPress.org — or even if you just happen to have visited the site recently — you may well have noticed that for the past year or so there’s only been one web host listed on the officially recommended ‘Hosting’ page (a particularly prominent page linked to directly in the site’s main menu): Bluehost. As of May 2016, however, there are now three other hosts also listed: DreamHost, Flywheel (the company currently used to host this very site, in fact) and SiteGround. For years (right up until the time WordPress.org announced they’d be revamping the page* around mid-2015), there were three hosts listed: Bluehost, DreamHost, and a much lesser-known host, named Laughing Squid. So in effect, you could almost think of this recent revamp as simply removing Laughing Squid and replacing them with two new hosts: Flywheel and SiteGround — bringing the total up from three recommendations to four. Which to Choose — and Why? Two things of particular interest here, are the order of the recommendations — with Bluehost listed at the top — and how little information is given for each company listed: just one short paragraph! Having Bluehost first, in my mind, kind of makes them seem like the favorites. Judging by both my own experience and the current WordPress community consensus, however, I’d have listed them last. This isn’t because they’re in any way a bad company (indeed, many new users find their hosting services more than adequate for the price) but because, when it comes to WordPress hosting, the other three are all, in my opinion, rather better — not only in terms of usability, speed, uptime and support, but also in terms of various additional, often market-separating, new features too. Having used all four of these companies to host sites on numerous occasions (indeed, at the time of writing, I’m still using three of them to host several of my own sites), here’s the order in which I’d personally have included them: 1.  Flywheel (a company we’ve already covered in relative depth in a previous article/review); 2. SiteGround; 3. DreamHost; and 4. 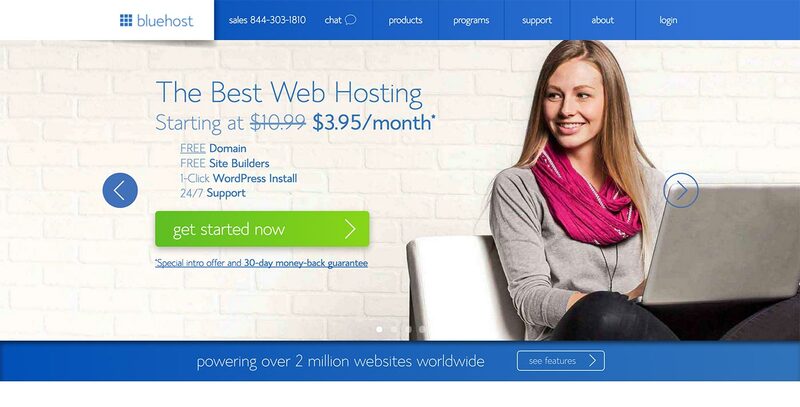 Bluehost. 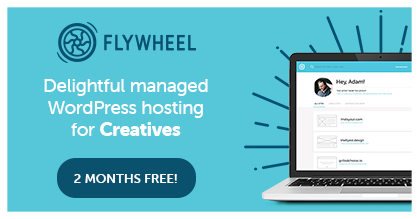 The first thing to mention about Flywheel, something that immediately separates them from the others listed here, is that they are a specialist WordPress hosting company: meaning they only host WordPress-powered websites. 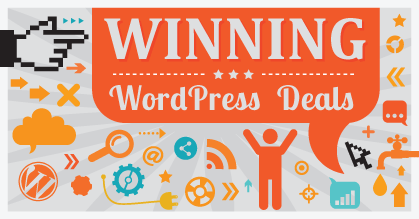 As such, their whole platform is focused on only WordPress from start to finish. What this means, in practical terms, is that their servers and systems are able to run WordPress much more effectively than almost all of their non-specialist competitors — thereby providing an optimum blend of just about everything a WordPress user could need from a web host (the primary four things being performance, uptime, security and support). But what really sets them apart from the crowd (even when compared with other specialist WordPress hosting providers), is their user interface. 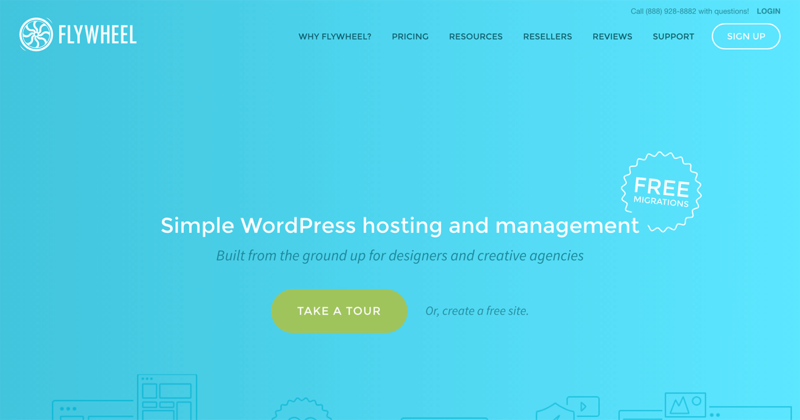 If you’ve ever used a web host before, you’ll be surprised by just how much thought Flywheel has clearly put into making the whole hosting experience as simple and intuitive as possible. And then there’re all the additional features you’ll get with Flywheel that most other hosts (including the ones listed below), simply don’t offer. 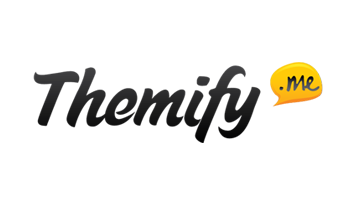 Such as completely free migrations (if you move over to Flywheel, the team will do all the hard work for you), the ability to create free demo sites and only pay when they’re ready to go live, a choice of more than ten server locations, super-simple CDN integrations, built-in site stats, built-in malware scanning, free nightly backups with one-click restores, and, well, quite a bit more to boot! 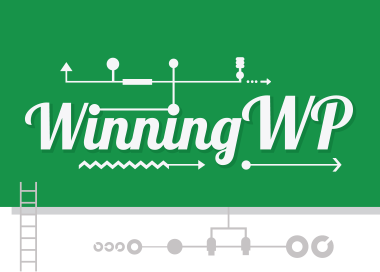 However, choosing a host from these four isn’t quite as simple as just saying “go with Flywheel”, because there are a few things to be aware of before jumping on board — things that, although are unlikely to bother anyone who’s already accustomed to WordPress, the complete newbie will almost certainly find a bit more challenging. Firstly: Flywheel isn’t a domain registrar, which means that if you’re starting a brand new website you’ll need to register the domain name you wish to use somewhere else (such as Namecheap, GoDaddy, or even one of the other hosting companies listed below) and then redirect the details of that domain name to Flywheel’s servers (although Flywheel’s team will, of course, be able to help you do this to a certain extent). Secondly, aside from not being able to register new domains, like most other truly specialist WordPress hosting companies, they can’t offer any kind of domain-specific email functionality either. Meaning that, to set up email accounts to use with your chosen domain (i.e. yourname@yourdomain.com) you’ll need to either use the sometimes-free email services offered by whichever company you’ve used to register your domain with or use a completely independent paid service, such as Google Apps. And, thirdly, when compared with the other hosting companies listed, Flywheel is significantly more expensive on a per-visitor basis** — with prices starting from $15 a month for sites with up to 5,000 monthly visitors, $30 a month for sites with up to 25,000 monthly visitors and $75 a month for sites with up to 100,000 monthly visitors. But then, of course, quality hosting just simply isn’t cheap! 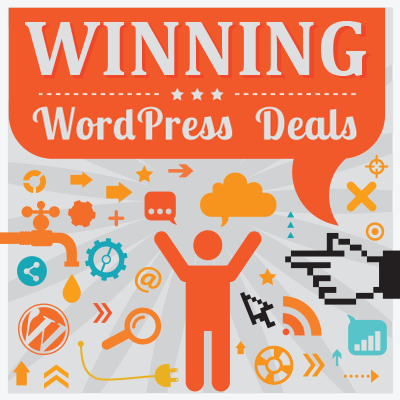 In short, however, Flywheel consistently scores some of the best reviews around, and offers — to quote the official WordPress.org hosting page — a “delightful WordPress platform“. Something with which I couldn’t agree more! 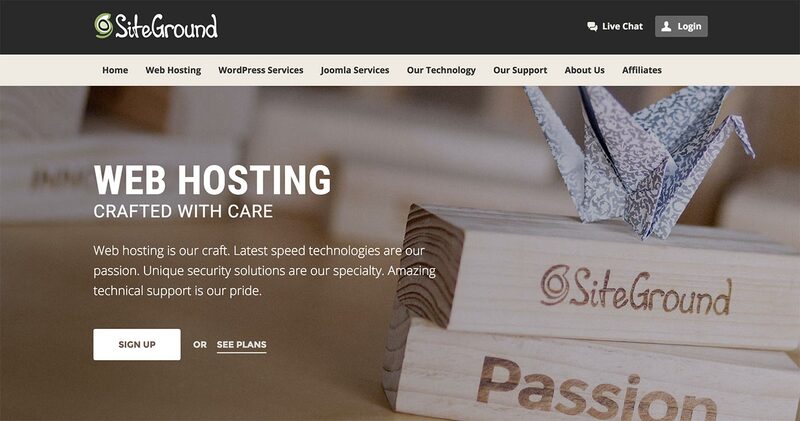 Over the past few years, SiteGround has been climbing in reputation as an affordable, yet highly capable WordPress web hosting company at quite a pace. Indeed, partly because of an impressive drive to become more and more involved with the WordPress community (regularly sponsoring some of the largest WordPress conferences around, and so on) they’ve now become almost the go-to recommendation for users wanting a little more from their hosting (more speed, more security and more features, such as automated backups, etc) without having to pay for a truly specialist WordPress-hosting service such as Flywheel. 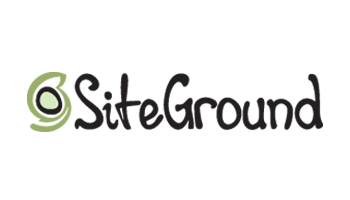 Something I, and many others, especially like about SiteGround is the fact that they always seems to be thinking: “How can I offer the user more value for money?” — a view reflected by the fact that they seem to be forever trying to improve their underlying technology (they’ve recently started offering things such as NGINX-based caching, PHP 7 and HTTP/2, for example — just in case any developers happen to be reading this) and feature set (such as Git integration, automated backups and their own really rather good page-caching system). What’s more, they also offer a specific service catering for WooCommerce (the WordPress answer to starting your own online eCommerce store) users — something well worth checking out if you’re specifically looking to start a WordPress-powered webshop. In short, when it comes to recommending a general, non-specialist WordPress web hosting company for small to medium-sized websites on a budget, SiteGround really is one of the best choices around! I’ve been hosting WordPress sites with DreamHost since 2008, which probably makes me a little biased in their favor. They’re a company with extremely high integrity, excellent customer service, and a generally excellent work ethic. 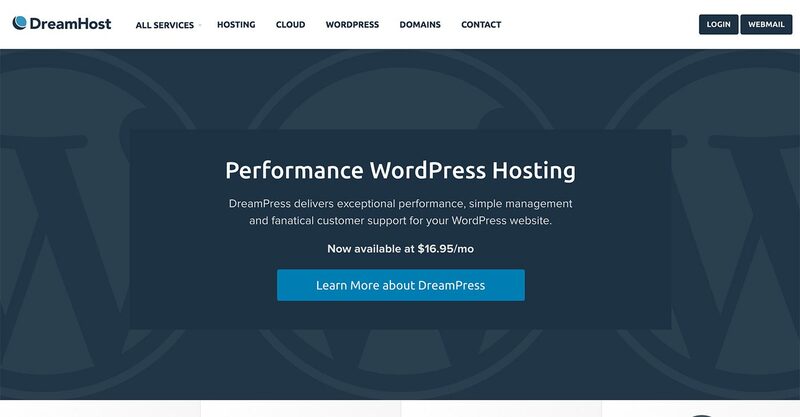 DreamHost tend to compete more at the small-to-medium site level, and, when it comes to WordPress, they really knows their stuff — partly because, for as long as I can remember, they’ve been actively contributing to the development of WordPress itself. When I was first starting out in web design (a good few years ago now), I explained to someone that all I really wanted was to host my sites with an upstanding company offering affordable hosting services and excellent support: The recommendation I received was DreamHost, and I still, to this day, think they’re one of the best all-rounders in the industry. What’s more, with services from just $7.95 a month to host as many sites as you like, they’re also one of the cheapest. Because of their transparency, honesty (they never bombard you with gimmicks or up-sells, etc) and extremely fast and capable support, whenever I’m developing a new idea for a website or just wanting to generally host a new idea, DreamHost are almost always my first port of call. In addition, unlike many of the other hosts out there, they also offer a pretty staggering 97-day money back guarantee — which just goes to show how confident they are in their services! Currently hosting more than two million sites, Bluehost is, without doubt, one of the largest and most well-entrenched WordPress hosting providers in the industry. They are, quite simply, about the most tried-and-tested host of the four, and, likely as not, the one that the majority of regular WordPress users will be most familiar with — so I can see why the official WordPress hosting page seems to hold them in such high regard. That said, because of their seemingly relentless drive to turn greater and greater profits by gaining more and more customers, many in the industry consider them a company that’s less interested in providing hosting to the individual than they are in simply catering for the general majority. Now, there’s nothing inherently wrong with their services, but, having used them on multiple occasions, I, for one (and I know I’m not alone), can’t help but think they’re beginning to fall slightly behind some of the newer, more cutting-edge and generally more caring alternatives — a view that seems to be echoed by many of their more recent online reviews. For a relatively small personal website operated by a truly average user, Bluehost is still, in my opinion (and clearly that of the official WordPress.org page too), a very reasonable choice. If, however, you’re looking to run a profitable online enterprise where things such as uptime, performance and support really matter a great deal, I’d advise spending a little more (their prices are listed as from $10.99 a month, but they’re almost always running offers that actually make them one of the cheapest hosts around — such as the one available on this very site in fact), and going with a slightly more focused service. When it comes to WordPress hosting, my advice is almost always the same, ask yourself: How important is performance, uptime, security and support? If you’re just starting out with your very first self-hosted site, likely as not, such things won’t be of the utmost importance. Indeed, if you’re a first-time user, a better-than-average host (which ALL of the above hosts definitely are) will most likely be more than sufficient to get things started — especially if your site is simply a personal website that’s unlikely to garner much momentum or ever really turn a profit. If, however, you’re looking to run a serious online business, then all of these things are paramount — it’s been shown time and time gain, for example, that faster websites are more pleasing to visitors and more likely to convert (i.e. actually turn readers into fans and subscribers) — so spend as much as you can afford and get the best! After all, what’s the cost of $25 to $50 a month to a real-life business that likely as not makes that much money every few conversions/customers?! **Partly because, unlike the vast majority of other web hosting services, Flywheel puts all of their customers on to more expensive VPS (Virtual Private Servers), rather than much cheaper — and, sadly, more common — shared servers (on which users are required to share resources with a whole host of other websites). Used, using or have an opinion on any of the above-listed hosts? Thoughts?